One of the most common scenarios for immigration to the United States is sponsorship of a relative by a close family member. This article is limited to a marriage between a U.S. citizen or permanent resident alien, and a foreign national who entered the United States legally. There are two ways to apply for Resident Alien Status under these circumstances -- either stay in the United States and apply to United States Citizenship and Immigration Services (USCIS); or leave the United States, before your visa has expired, and apply for a green card from your home country at an overseas U.S. consulate. The correct way to go about acquiring Resident Alien Status is first and foremost, to be completely honest in your application and interviews with a USCIS officer. For the purposes of this article, we are assuming that a U.S. citizen, living in the U.S., meets a foreign national while in the U.S. legally; and they fall in love and marry. One typical scenario that fits, is a foreign national in the U.S. on a student visa, enrolled in a U.S. school, meets a U.S. citizen in the United States. If the two had previously met online or outside the U.S., and planned to marry, the steps to legal immigration may be different than those outlined in this article. As soon as the couple marry they may apply to USCIS for a green card for the foreign spouse. The main form that must be filed is “I-130, Petition for Alien Relative”; the U.S. citizen is the Petitioner, requesting that their spouse be granted Resident Alien Status; and adjust visa status while in the United States. The spouse who is not the U.S. citizen is referred to on the forms as the Beneficiary. Along with the I-130, Form G-325A, Biographic Information must be filed -- one for each spouse. Other documents that must be included with the I-130 are: proof of the petitioner’s U.S. citizenship; marriage license; proof of divorce or termination of all previous marriages for both spouses; and passport style photos of both spouses. The filing fee to accompany the I-130 -- Petition for Alien Relative changes from time to time, so be sure to check the USCIS site for current information. Filing the I-130 Petition (Petition for Alien Relative) and accompanying documents is only the central step. There are other documents that must be filed along with the 1-130 to complete the process. These are: I-485, Application to Adjust Status; I-693, Medical Exam; I-864, Affidavit of Support; and I- 765, Application for Employment Authorization. The forms can all be downloaded from the USCIS website. Providing all fees have been properly paid and all documents are in order, a temporary green card will be issued in a few months. There is a two year waiting period for a permanent green card for new marriages. USCIS wants to make sure that the marriage, is, in fact, a bona fide marriage, and not simply an arrangement so that the alien can be allowed to remain the United States. For more information go to the USCIS website - http://www.uscis.gov/ All forms are free downloads on the USCIS site. If you use the services of one of our document preparers, he or she will have the forms also. Most of our immigration document preparers speak at least one language in addition to English. 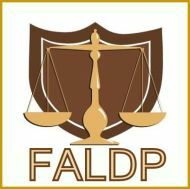 FALDP also offers a basic course for preparing immigration documents. The course is targeted towards document preparers, however it is also suitable for a motivated consumer who wants to save money while preparing their family members documents. Please visit our Online Courses page to learn more. If you have questions about the forms, please call us 800-515-0496 or it you want someone to prepare the forms for sponsorship of a relative for you -- we're happy to help. We'll either refer you to a document preparer near you, or to a member who can help you virtually. We never give legal advice, and only work under the direction of our customers. If you need help with document translation we have members who offer translation services. 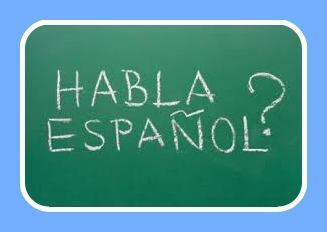 Or call 800-515-0496, and we'll try to match you with a translator who can help. Some of our members focus on document preparation for immigration. Remember, if you are facing deportation or are in the United States illegally, you need an immigration attorney NOT a document preparer.